Math Teachers - This is for you! Teaching students about area and/or perimeter? 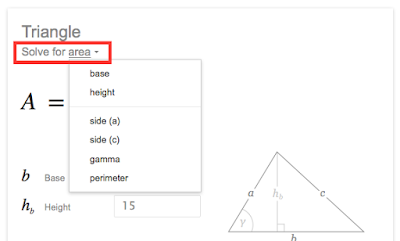 Let's get a little help from Google. 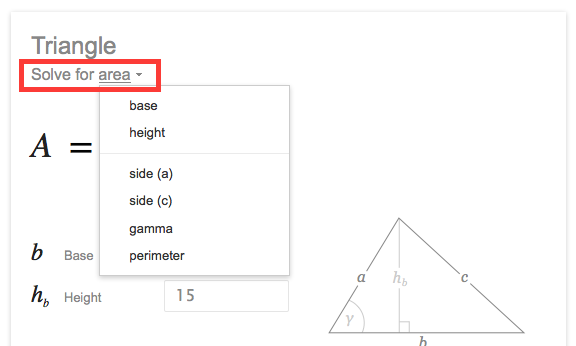 Search Google for "Triangle Calculator." 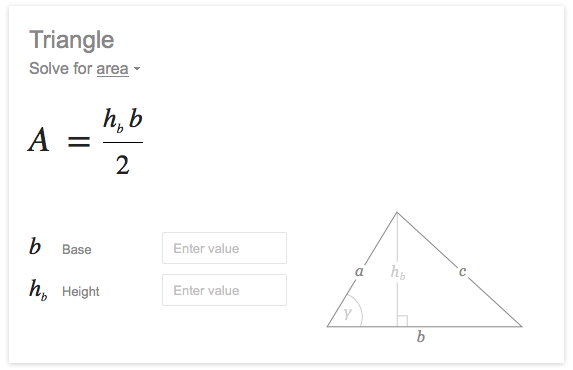 Enter your values in the appropriate entry boxes and watch Google produce the answer. Change the values and notice the answer will adjust as well. 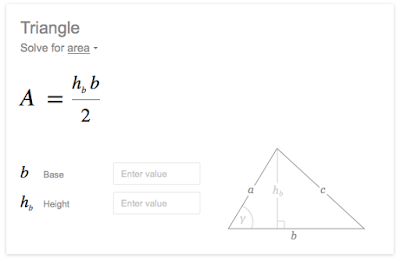 To see how the problem was done, step-by-step, click the arrow at the bottom of the calculator window. 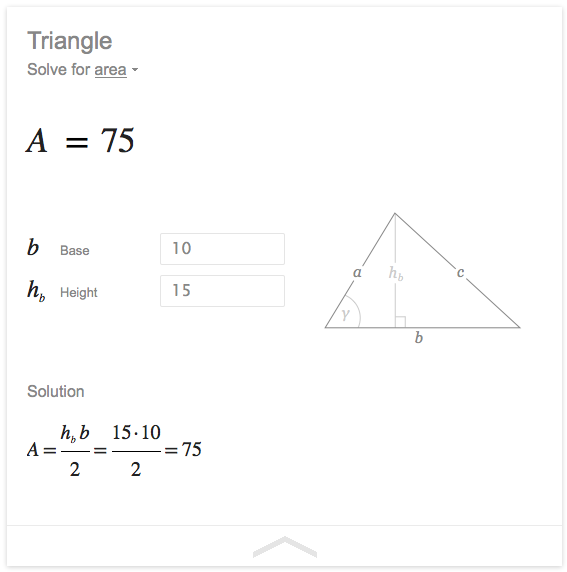 To show your students how to solve for other parts of a triangle, use the drop-down arrow to the right of the "Solve for area" text at the top of the calculator. After a very successful first four seasons, the makers of Vikings are finally coming up with the fifth season. It will have some starcast changes and hopefully it is going to be even more exciting. You can check out my site for more details about the same and stay updated. site techieans. We strive to get all your issues sorted out at the earliest. In orbit, there are over 20,000 satellites, stage 1 shuttle parts, and other scraps of metal in the lower orbit of the technological advancements. 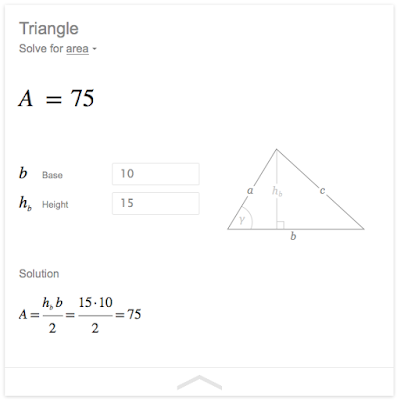 Google is aiming to provide all answers right from the search results. You can even send Internet fax with them!